Glen Kerran farm in Southend, Mull of Kintyre, is about to become the new home base for Nikki, Cara and the Herd. This is a very exciting project which we look forward to sharing with you. 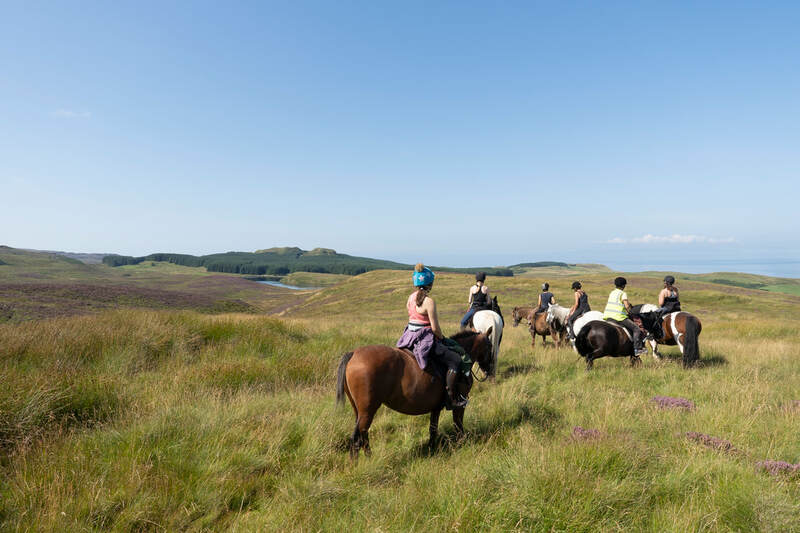 In July and August 2019, we are offering week long and short break trail riding adventure holidays around the Kintyre peninsula. 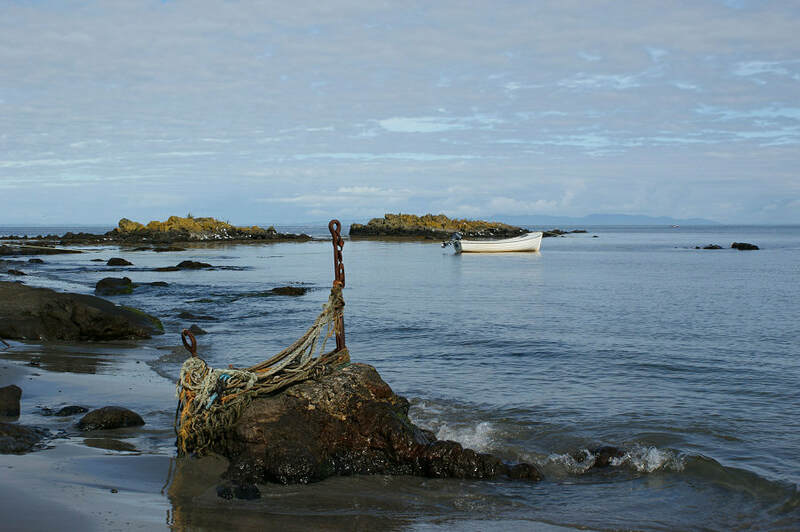 This area is thick with history and surrounded by stunning beaches, grassy farms and craggy sea cliffs, with beautiful views across to the Isles of Islay, Jura, Ailsa Craig and even Ireland. We will be spending this winter giving the Glen Kerran farmhouse a Wilder Ways make-over so you can stay with us overnights, spend your evenings here hosted by us in this traditional farmhouse whilst also being treated to some local gastronomic delights and a good Scottish breakfast. As well as developing adventures, we will be busy developing stables at the farm and an indoor school. This facility has been previously missing from Argyll and we are excited to be able to share this facility with you from October 2019. There will be opportunities for individual riders, clubs, instructors and organisations to hire this facility for their own uses as well as opportunities to participate in a series of Wilder Ways events to be run over the winter. ​A week-long ride, exploring the stunning landscape of this most south-westerly point of Scotland. Kintyre is the ancient home of the Kings of Dalriada and the area is steeped in Scottish history from standing stones that predate Stonehenge to the Campbeltown Picture House, the smallest and oldest cinema in Scotland. The landscape you’ll be riding across is hilly, with wide open beaches, rocky crags and magical views out to Ireland and the Isle of Islay. 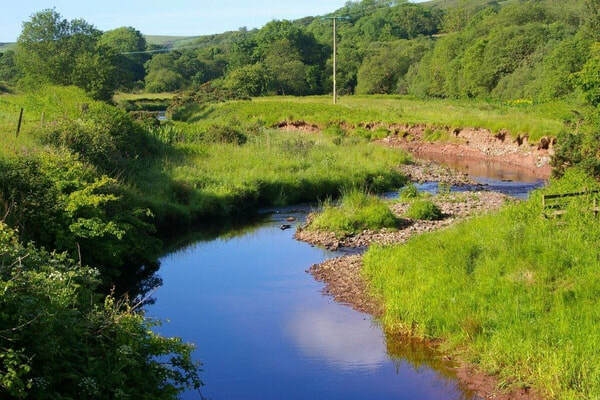 At night you’ll be staying with us at Glen Kerran Farm, an old stone farmhouse in a secluded valley only two miles from the tip of the peninsula. 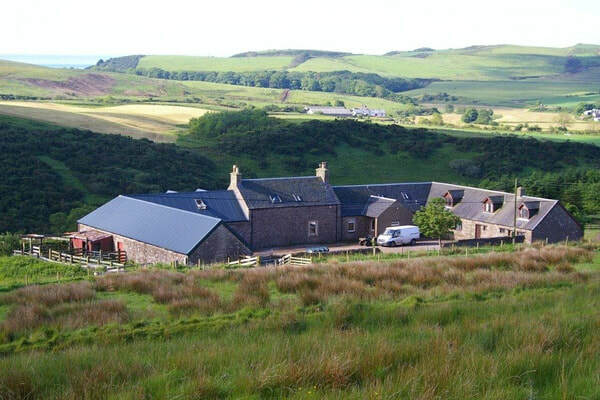 You will sleep overnight in a comfortable bedroom within the farmhouse and eat in the glass-room, over-looking the tranquil Kerran Glen. Here, you will have a choice of breakfast and each night we will feast together on local, home-cooked, hearty and delicious food. After breakfast you will go out to the stables to help brush and tack-up your horse – we will give you as much help as you need. This is a great time for bonding with your horse and chatting through any concerns. We will be riding from a different location each day, leaving the horses where we stop each night, but we will return to the farm base at the end of each ride. You will not have to pack and move your own stuff, just take with you the minimum that you need each day: e.g. rain-clothes and a camera. We will carry food, drinks, midge repellent and sunscreen. After a relaxing breakfast you will come out to the stables and meet your steed for the week. We encourage you to come and help groom and tack-up your horse and to be as involved as possible. Before setting out we will do a short assessment ride near the farm. Our first days’ ride will take us out across the farm and through peaceful farming countryside, past standing stones and the remains of Dunaverty Castle, to the open beaches of Dunaverty and Carskiey Bays. In the evening, we can take a drive down to the Mull of Kintyre Lighthouse to watch the sunset from the south-west tip of Scotland. Leaving from near the white sands of Carskiey Bay, we will ride over the open hills of the West, getting off track for some proper Wilder Ways scrambling. 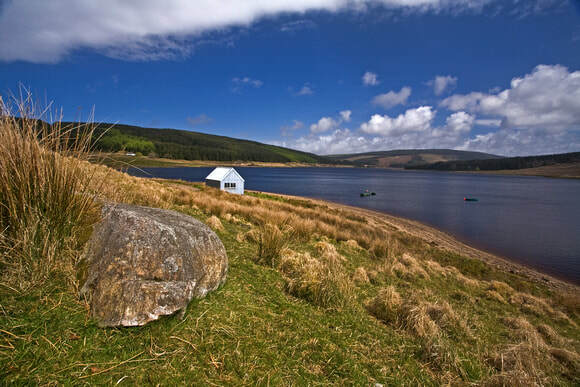 We’ll pass through the remote heathery moorland at Largiebaan bird reserve, where you might see golden eagles and wild goats. From the cliff-top, there are stunning sea-views out to the Isles of Islay and Jura. We’ll finish the ride near the quaint sea-side village of Macrihanish. You can spend today putting your feet up at the farm or exploring the local area. 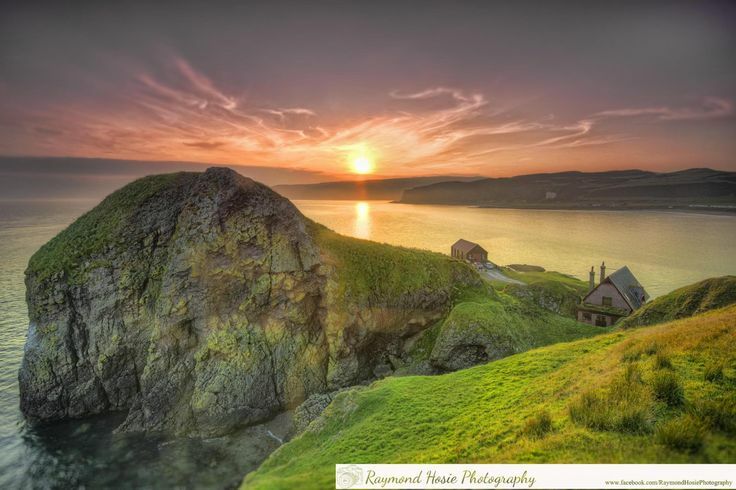 Kintyre is the ancient seat of the Scottish Kings and the hills around us are steeped in history, from standing stones and cairns to the eccentric painting of Jesus that appeared one day in the cave south of Campbeltown over 100 years ago. You can do a tour of one of the Campbeltown distilleries, Springbank, Glengyle or try the brand-new Glen Scotia malt. Alternatively take a boat trip from Campbeltown or hire a bike to see the area from a different kind of saddle. Today we will take the horses along the 7km of golden sand that is Macrihanish Bay. This beautiful beach, backed by flower-covered dunes and machair grassland is truly stunning, with opportunities for games and a beach canter or two along the way. In fine weather (or any weather depending on your enthiusiasm) we can even swim. From the top of the beach we will make our way across country, finishing the day back on the Kintyre Way, at Lussa Loch. Our last day starts from Davaar island just south of Cambeltown, a little rocky Isle accessible via a sandy causeway with sea caves and a lighthouse that you can explore. From here we will climb into the hills from the east coast of the peninsula, skirting wee hill lochs, and then follow winding tracks through the woodland back to the farm. After a last breakfast all together you will say goodbye to your beloved steed (and us) and head home. We hope to see you again next year! This itinerary is an example – exact routes may change due to weather, tides or other factors. We encourage you to get your ‘hands dirty’ and to look after your horse for the week as if it were your own. Don’t worry, we will support you to do this. Arrive – Glen Kerran Farm on Sunday (the evening before your ride starts). You should aim to arrive between 5 & 6pm. Please let us know if you are going to be late. If you are thinking of travelling by taxi, let us know and we can put you in touch with any other riders who may be able to share with you. Dinner will be at 7.30pm. Start – Monday breakfast at 8.30 then come out to the yard. We’ll introduce you to your horses, we’ll brush and tack up and then have a short assessment ride near the farm before setting out on our first day. Riding – 5 full days in the saddle (5 hours riding + breaks) on Monday, Tuesday, Wednesday, Friday and Saturday. Rest day – Thursday will be a rest day and is yours to enjoy as you wish. There is a local tour that you can take to see some of our history and culture or even go on a boat trip to see some coastal wildlife and scenery. Lunches – A picnic on the hoof will be provided by Wilder Ways each riding day. On the rest day you can have lunch at the farm or we can provide a packed lunch for you to take with you if you wish. Accommodation – 7 nights’ accommodation at the farm. Additional nights’ accommodation can be arranged as needed to fit your travel arrangements or, if available, for non-riding members of your group. Sharing – The holiday price is based on 2 people sharing a room. If you require a single room a supplement of £20pppn will be payable. Evening Meals – Each night you’ll get a hearty, home-cooked dinner at the farm or at a local guesthouse that specialises in fine dining and locally sourced food. We pride ourselves on good food and want you to feel that the eating is as much a part of the holiday as the horses! Transfers – From your arrival at the farm, all local transport is included, to and from riding locations and to evening meals on any nights’ out. Transfers to any rest day activities are not included but we are happy to help you with organisation. Finish – The last ride will finish on Saturday at 4pm. On the Saturday evening your Wilder Ways hosts will join you for a special finale dinner. You will enjoy a last nights’ sleep in the peace of the Glen before leaving after breakfast on the Sunday morning. Monday – Wednesday, includes 3 days riding + 2 nights all inclusive. 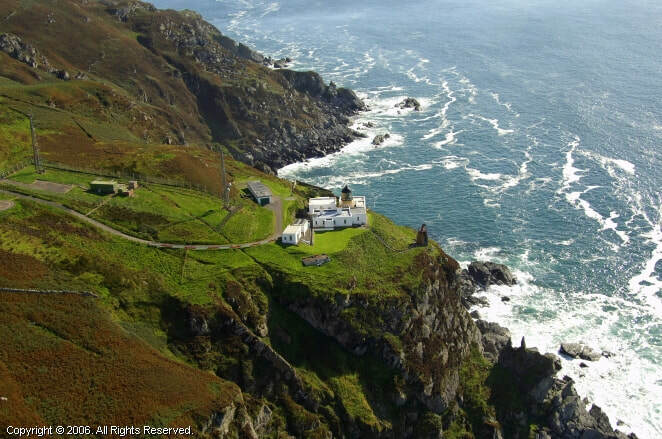 A 3-day ride through the Mull of Kintyre, the most south-western point of Scotland. 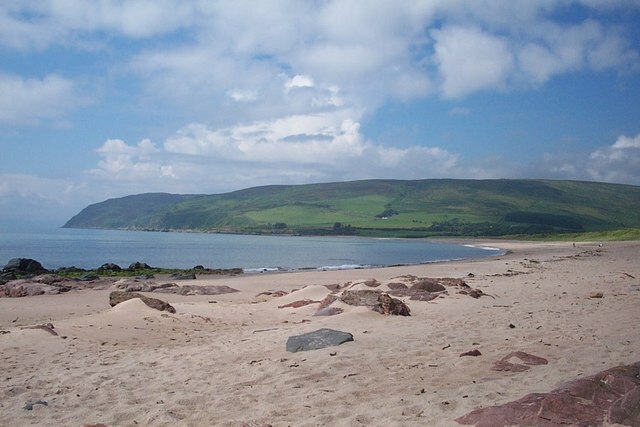 Kintyre is the ancient home of the Kings of Dalriada and the area is steeped in Scottish history from standing stones that predate Stonehenge to the Campbeltown Picture House, the smallest and oldest cinema in Scotland. The landscape you’ll be riding across is hilly, with wide open beaches, rocky crags and magical views out to Ireland and the Isle of Islay. We will be riding a different route each day, sometimes leaving the horses where we stop each night, but we will return to the farm base at the end of each ride. You will not have to pack and move your own stuff, just take with you the minimum that you need each day: e.g. rain-clothes and a camera. We will carry food, drinks, midge repellent and sunscreen. You will arrive at Glenkerran Farm at about 9.30am to meet Cara, Nikki and the Herd, check into your room and talk though general housekeeping. Then we’ll come out to the stables and meet your steed for the week. We encourage you to come and help groom and tack-up your horse and to be as involved as possible. Before setting out we will do a short assessment ride near the farm. Then we’ll head off into the woods to test our paces and visit some old ruins. After a relaxing breakfast we’ll ride through the local farming countryside down to Southend, past standing stones and the remains of Dunaverty Castle, to the open beaches of Dunaverty and Carskiey Bays. Leaving from near the white sands of Carskiey Bay, we will ride over the open hills of the West, getting off track for some proper Wilder Ways scrambling. We’ll pass through the remote heathery moorland at Largiebaan bird reserve, where you might see golden eagles and wild goats. From the cliff-top there are stunning sea-views out to the Isles of Islay and Jura. From here we will follow winding tracks through the woodland back to the farm. When we get back you will say goodbye to your beloved steed (and us) and head home. We hope to see you again next year! Arrive – Glen Kerran Farm on Monday (the morning your ride starts). You should aim to arrive about 9.30am. Please let us know if you are going to be late. If you are thinking of travelling by taxi, let us know and we can put you in touch with any other riders who may be able to share with you. Start – Check into your room and then come out to the yard. We’ll introduce you to your horses, we’ll brush and tack up and then have a short assessment ride near the farm before setting out on our first day. Riding – 3 full days in the saddle (5 hours riding + breaks) on Monday, Tuesday & Wednesday. Lunches – A picnic on the hoof will be provided by Wilder Ways each riding day. Accommodation – 2 nights’ accommodation at the farm. Additional nights’ accommodation can be arranged as needed to fit your travel arrangements or, if available, for non-riding members of your group. Transfers – From your arrival at the farm, all local transport is included, to and from riding locations and to evening meals on any nights’ out. Finish – The last ride will finish on Wednesday at 4pm.